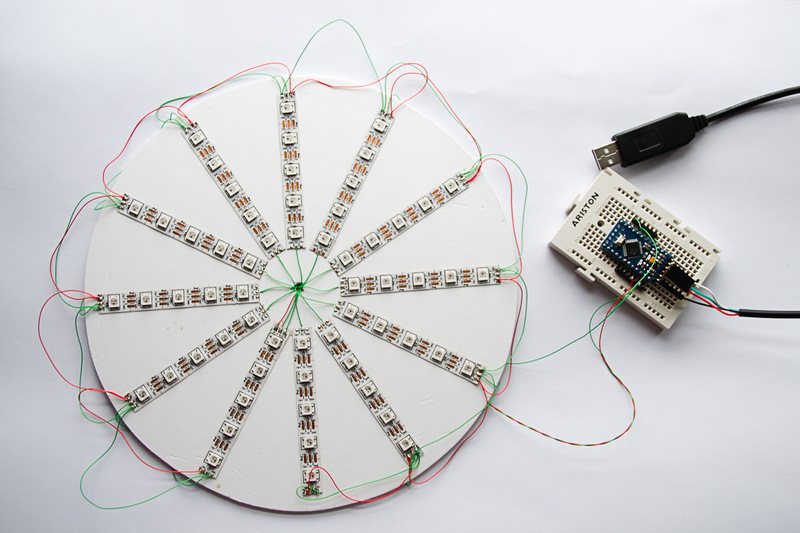 With the LEDs linked to an Arduino Nano (ATmega328), Herrera has the ability to install various lighting patterns to fit his needs. Whether it’s a frantic dance party or a calming nightlight for a baby’s room, any light arrangement is now possible. The code for this project can be found on the Maker’s blog here. All in all, this is a fairly straightforward DIY project that can provide a nifty lift to any room in your house. The ease of assembly makes this an ideal endeavor for those just getting acquainted with Arduino and DIY builds. For more sensational designs, you can always head over to our Bits & Pieces archives where you’ll find plenty of spectacular Arduino powered projects. 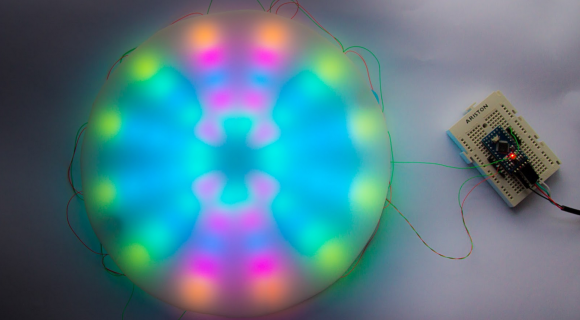 This entry was posted in Arduino, Maker Movement and tagged Arduino, Arduino Kaleidoscope, DIY Project, LEDs, Maker Movement, Makers on September 12, 2014 by The Atmel Team.